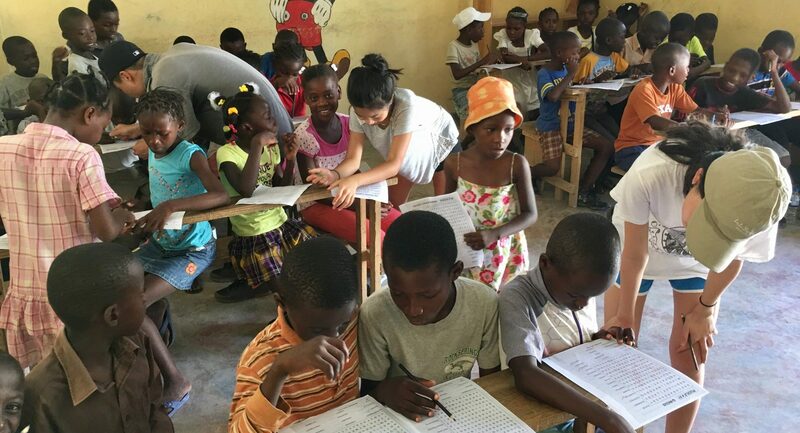 In collaboration with a committee of private donors and Hatian Pastor Arthur Demosthenes, The Hwang Family of Silicon Valley are spearheading an educational assistance program to the recently constructed village of Canaan. 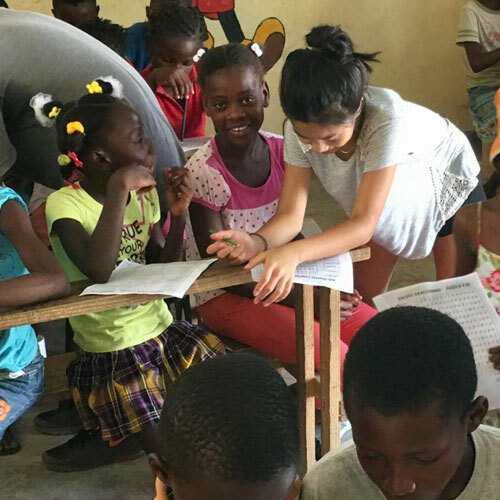 They helped build a classroom, brought generators, supplies, and traveled to Haiti to volunteer their time. I wanted to understand their website user base, and to convert browsers into passionate activists. I began by interviewing past donors, and researching competition. The Hwangs had received much more support in their community on the East Coast, so we dove into figuring out how to engage the West Coasters more thoroughly. We found that among the donors, supporting their community was a very big priority for them, even more so than the (to them) secondary act of helping a stranger in need, and they had developed that community over time. These insights were developed using empathy and as-is scenario mapping. 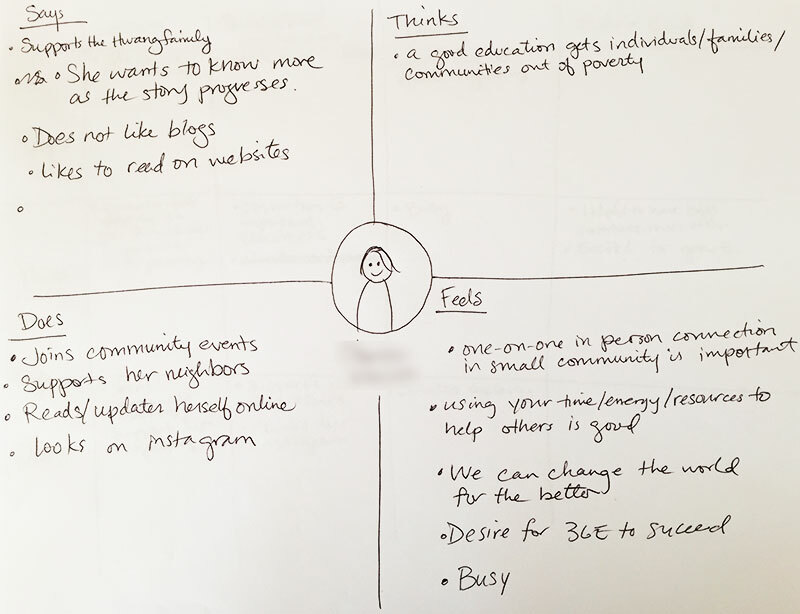 We were also able to find through the scenario map that the four goals of the website must be to teach, invite participation, inspire donations, and build long-term relationships. An especially interesting element of this project is that it also involves mentoring. The Hwang Family were interested in the principles of empathy, bias recognition, and the separate and distinct processes of creating and critiquing. I expounded on the foundations of Design Thinking – Empathize, Define, Ideate, Prototype, and Test. Finally, I am teaching them the art of storytelling, because I believe their story deserves to be told and supported. This has been profound in itself, but it had some even more amazing unintended consequences. The family asked me to increase my involvement in the project by sitting in on a few of their board meetings. I found that many of the same problems that apply to design also apply to philanthropy. As an undergraduate student of Politics, I learned of the complex task of aid organizations in finding the right solution for those in need. 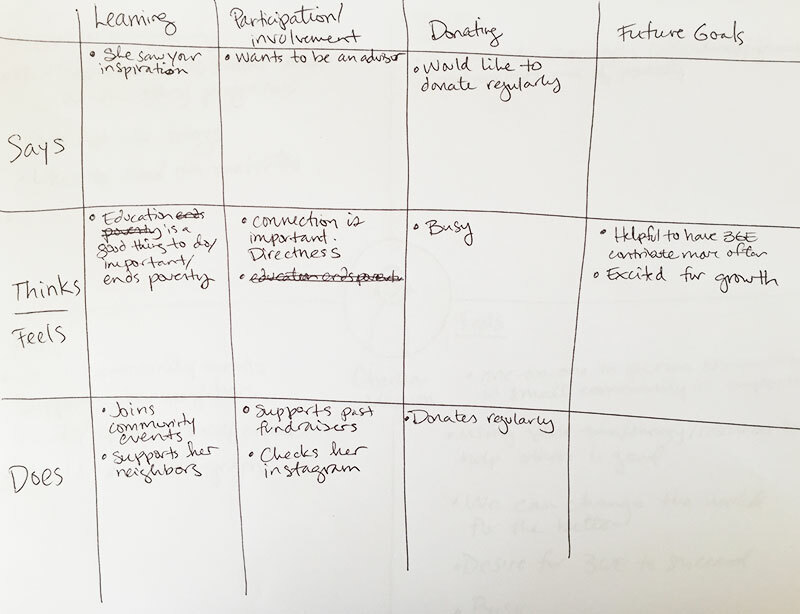 Three Generation Education plan to use the Design Thinking techniques they have learned and apply them to their goals as philanthropists in Haiti. Empathy Mapping, As-is Scenario Mapping, and Needs Statements – Get to that Pain Point!